A psychic is one who has the ability to perceive information by making use of extrasensory perception (ESP). Such persons are often mentioned in fantasy fiction, such as in the novel “The Dead Zone” by Stephen King, or Marvel’s Comics – telepath Jean Grey. A whole industry is based on people who possess psychic powers. On the other hand, critics claim that psychic powers are intentionally used to trick people. Back in 1988 the U.S. National Academy of Sciences released a report on the subject, and decided that there is “no scientific justification from research conducted over a period of 130 years for the existence of parapsychological phenomena.” I personally believe that there are indeed some people with extrasensory powers or better said, they have a keen understanding of what’s to come (some people call them visionaries – such as Nostradamus – with which we’re going to begin our list), but by building an industry around it has opened the gates for many opportunists who are just looking to make some cash out of gullible individuals who are desperately looking for answers in all the wrong places. However, regardless of my opinion, here’s a list of ten famous psychics. We begin our list of famous psychics with one of the most famous visionaries of the 14th century. Nostradamus (14 or 21 December 1503 – 2 July 1566) was a French apothecary and reputed seer, best known for his book Les Propheties (The Prophecies), the first edition seeing the light of the day in 1555. Since the publication of the book, Nostradamus has attracted many followers who, along with the press at the time, gives him credit for predicting many major world events. However, many academic sources claim Nostradamus’ predictions were mostly the result of misinterpretations and/or mistranslations (in some cases deliberate). Edgar Cayce (March 18, 1877 – January 3, 1945) was an American psychic who supposedly had the ability to offer answers to questions on subjects, such as healing or Atlantis while being in a hypnotic trance. He had a strong influence on what was to become the New Age Movement. His teachings – particularly karma, reincarnated souls, astrology, special dietary requirements, holistic medicine, and dream interpretation – had made quite the impact, though he died before having his momentum. Allison DuBois (born January 24, 1972) is an American born profiler and medium who gained her fame and glory with the help of “Medium”, a TV series based on her life. While some visions come to her in the form of dreams, many of them occur when she’s awake. Her abilities drove her to help law enforcement agencies across the country, solve crimes, while she also works as a jury consultant. Her alleged powers were tested by Gary Schwartz of the University of Arizona, and approved by him, but skeptics were able to point the flaws in his theory. Youree Dell Harris (born August 12, 1962) – better known as Miss Cleo – is an American psychic and shaman who achieved her reputation as a spokeswoman for a psychic pay-per-call service from 1997 – 2003. She has allegedly used numerous aliases throughout her career, including Cleomili Harris and Youree Perris. In the late 1990’s, Harris started her work for the Psychic Readers Network, using the name of Cleo. She appeared as a television infomercial psychic where she claimed she was from Jamaica. John Edward McGee, Jr. (born October 19, 1969) is an American television personality and professional psychic medium. He used to be a phlebotomist and a dancing instructor prior to his newly found psychic powers. Later on he published his first book on the topic, One Last Time, in 1998, a book so popular that it eventually gave him his own TV show in 1999 called Crossing Over with John Edward; the show was aired on the Sci-Fi Channel until 2004. Though he enjoys a large and devoted following, Edward also has his share of skeptics. Danielle Egnew (born February 28, 1969) is a multi-talented woman as she’s being a psychic, musician, actress, media personality, and activist. She is recognized in the United States, Canada, Mexico, the United Kingdom, New Zealand, Europe, and Australia for her activities in both spiritual and metaphysical fields as a clairvoyant channel, paranormal investigator, and a healer. She’s also worked as a creative consultant for paranormal television programming and has consulted for corporate and private clients including Hollywood Studio Heads and Fortune 500 Executives. In 2006 she co-founded the paranormal investigation group – The Western Pacific Paranormal Alliance – and launched the paranormal website Haunted Playground who later became a paranormal radio talk-show. Jose Ortiz (born July 28, 1952), is a Puerto Rican astrologer and psychic known as El Buen Samaritano – The Good Samaritan. At the age of 14, Jose was a guest to a New York’s radio station (WADO). Here he was interviewed about his powers by presenter and actress Gilda Miró. The head of the radio station was impressed, so he gave Jose his own show on radio station WHBI in NY. Not long after that he was a guest of Polito Vega and Luisa Martinez in New York City. Here, he read horoscopes, predicted forecasts, and offered messages for his audience. Daniel Dunglas Home (March 20, 1833 – June 21, 1886) was a Scottish born physical medium with the alleged power to levitate, speak with the dead, and produce rapping and knocks in houses at will. His biographer Peter Lamont states that he was one of the most famous men of his era. The legend Harry Houdini described him as “one of the most conspicuous and lauded of his type and generation”. Home (read Hume) conducted hundreds of séances, which were attended by various eminent Victorians. Eileen J. Garrett (March 17, 1893 – September 15, 1970) was a famous medium who help to redefine psychic work today. Born in Beauparc Ireland in 1893, she could see human, plant, and animal auras. In addition, Eileen was the founder of the Parapsychology Foundation in New York City, and a major figure in the scientific study of paranormal phenomena in the mid-20th century. 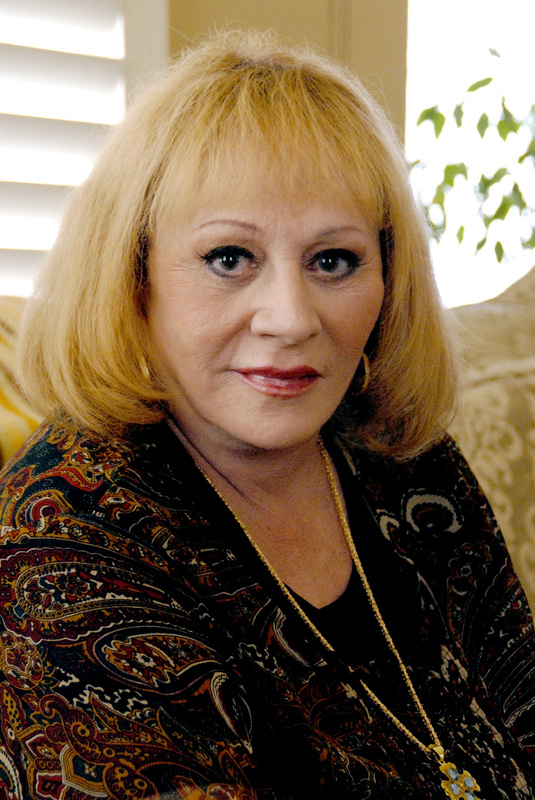 Sylvia Browne (born October 19, 1936) is an American author, psychic and spiritual medium. She’s made appearance on several occasions at Larry King Live, was a weekly guest on The Montel Williams Show, and hosts her own show at Hay House Radio, taking about paranormal issues while giving her callers advice. In 1992, she was found guilty for investment fraud and grand theft. Her claims and predictions caused numerous controversies and reports of her faulty predictions. So, with that said, do you believe in the supernatural, or skepticism is what defines you?